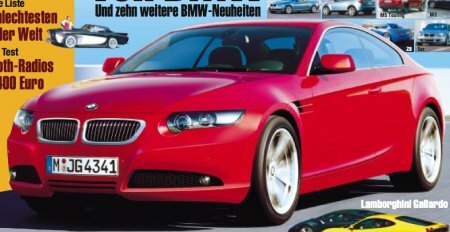 German car magazine AutoBild reports that BMW is developing a four-door sedan model to go against the Mercedes Benz CLS Coupe and the upcoming Audi A7. The artist’s impression doesn’t seem to indicate a B pillar, so it might have suicide doors. While some sites have predicted that this new car will be the BMW 8-series, others have said it is actually the BMW X6, a crossover coupe with 4WD capabilities. I think the latter is more likely. The car will be based on the BMW X5 platform.